I love Texas, so it became my goal to see all of it. 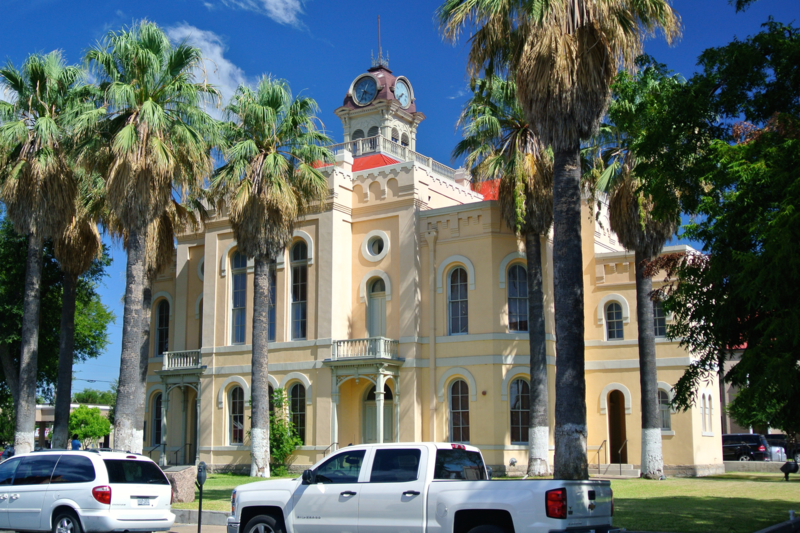 And now that I’ve visited every county, county seat, and courthouse in the state, I’ve put together this photographic record of my travels as the definitive Texas Courthouse Catalog. My name is Carson Crisp and I’m a college student from Fort Worth, Texas. As such, I spend my time between the city and my own small town home: Acton, in southeastern Hood County. Growing up between the two communities, a thriving, industrialized Metroplex and a quiet, relaxed farming town, I’ve been lucky enough to experience two sides of the same coin: the beauty that is the vast and diverse state I call home. As a sixth generation Texan, I can’t remember a time when I didn’t admire Texas: its history, its culture, its geography, it food, its music, and its people. There’s just nowhere better. Part of my passion comes from being a native son, but a great portion of it comes from the sheer uniqueness of the Lone Star State. There’s no greater playground in the United States to explore and experience, from one barren, arid end to the lush and forested other. There’s a reason folks around the country have a hard time pinning down exactly what region Texas is a part of. Is it the South, the Great Plains, or the Southwest? My answer is none of the above. Texas is Texas. And part of what makes Texas so impressive is its vastness. Its nearly 269,000 square miles are dotted with upwards of 1200 incorporated cities, hundreds of unincorporated communities (my own Acton included), and a population of over 27,000,000. Nothing rivals it. And of significant note: Texas has 254 counties, more than any other state. Every single county is anchored by the designated county seat, the town or city where local government has organized its offices and buildings to govern the area. 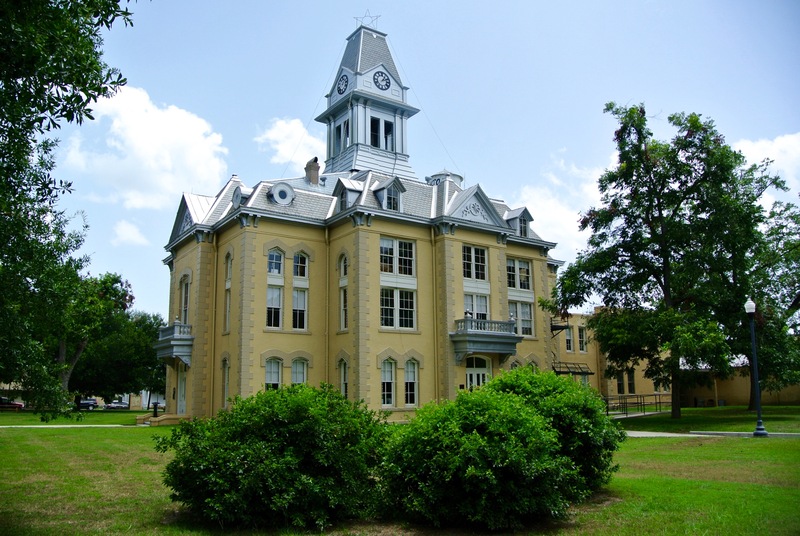 One such building is the county courthouse, which more often than not proves to be the jewel of small town Texas. On this site, I’ve preserved a collection of each one of these important buildings, and the impressively resolute communities they represent. It’s been the honor of a lifetime to be the guest of every county across my state and to visit their respective courthouses. I got started in 2010. As if by chance, there was a fall day in my sixth grade year when I skipped school for the day, just for the fun of it. My dad wanted to take me over to Dallas for the afternoon, because the Old Red Museum was reportedly worth a trip. And of course, it was. Only after completing my tour of the museum did I realize the building I had just spent the better half of two hours exploring was the historic Dallas County Courthouse, dating from 1892. As we left, my dad brought out the camera and offered to take my picture. He remarked, “It’d be a neat idea to get your picture in front of all the Texas courthouses.” Sure it would, I thought…someday. 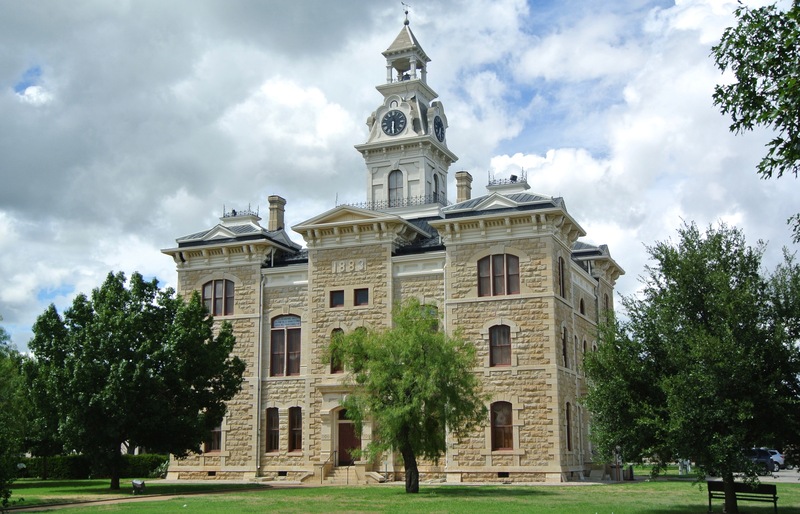 Little did I know Texas had 254 counties, each with a courthouse…or two, or three. You see, not every county in Texas has just one. Dallas County’s a prime example. 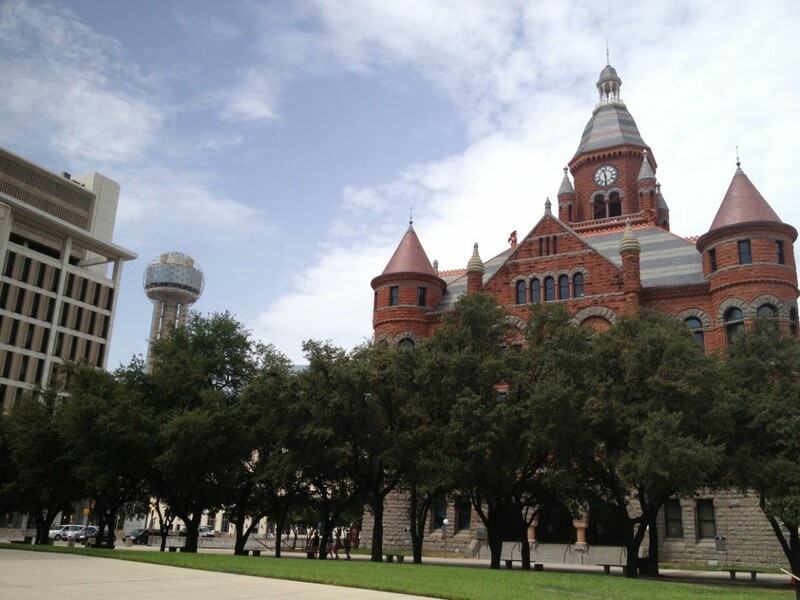 There’s a castle-like, monumental, nineteenth century edifice that dominates Dealey Plaza and there’s a much more modern structure that holds the district court of the modern era. The point is: there’s much to see in every single county seat. Dallas was number one. There were 253 left. And so, I was off. Eventually, I got the notion to document my experience, so I began working on designing and updating a proper website. Over the year it took me to get the ball rolling on this site, I found myself developing a greater interest for the project. After diving into the wealth of knowledge of Texas history preserved in an enormous collection of books and the Internet’s endless library, I became enthralled not only with the history of each Texas courthouse, but the counties, towns, and communities they represented as well. I reached a point where I no longer just wanted to have my picture taken in front of each, but I want to document the buildings themselves: their vibrant, unique, and classical architectural forms. Likewise, there was an exhilaration to be found in crisscrossing the endless prairies, deserts, forests, and coastal plains in search of that next courthouse and the exceptional qualities of the cities that had grown up around them. I couldn’t stop. 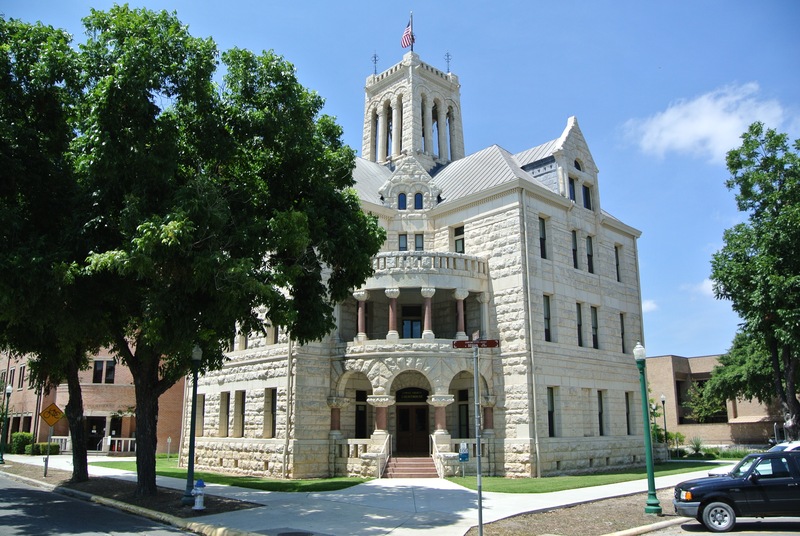 Because Acton is in Hood County, where the seat is the city of Granbury, the courthouse that represents me is a massive, gleaming, building of the Second Empire style. Wesley Clark Dodson’s intimidating masterpiece was one of those first buildings to inspire and foster within me an appreciation of Texas’ beautiful architecture and its rich, unparalleled history. 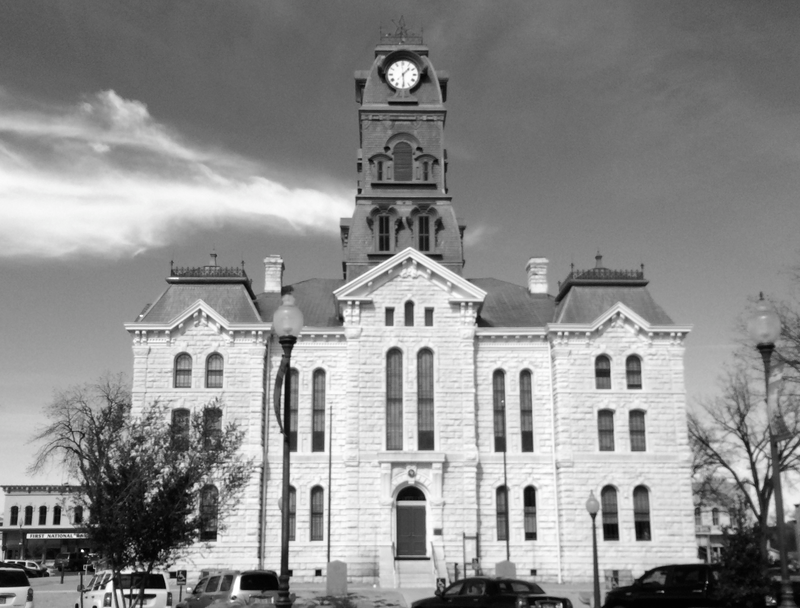 Throughout my project, I’ve strived to keep the Hood County courthouse in mind. 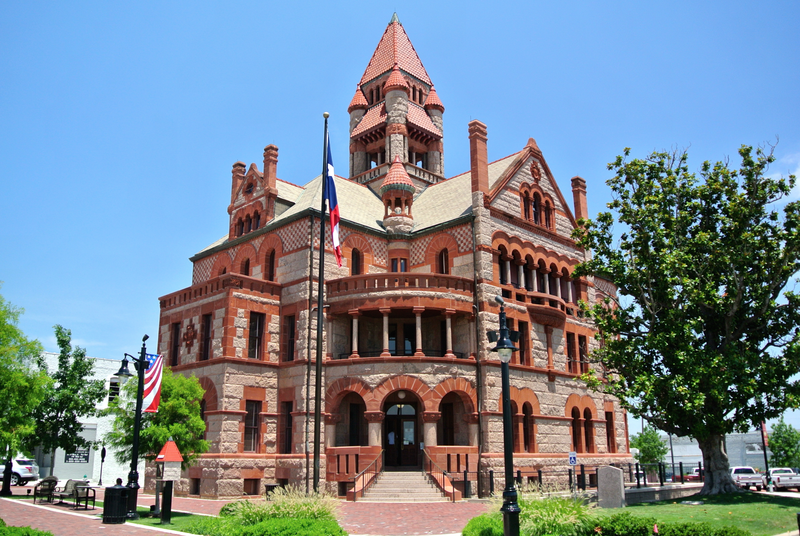 There are some courthouses across Texas that exceed it in terms of elegance, and some that it far diminishes. What’s important, though, is what Texas’ courthouses stand for: 254 unique communities of people living their lives in the Union’s most culturally diverse state. I’ve enjoyed being able to appreciate every single one of them along the journey, and I’ve done my best to document them here. All of my experiences: the good, the bad, and the ugly are here. I’d recommend you immerse yourself in the full extent of this Courthouse Collection and it’s my sincere hope you can feel as inspired and awestruck as I have these past six years. Thanks for visiting. I’m happy you’re here.